The Chicago Book Online Business Profile -- LA-CO Industries Inc. 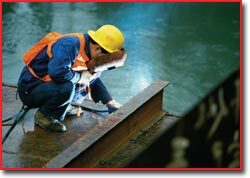 Imagine the following three workers: A quality control inspector in an industrial plant needs to indicate approval on an oil-covered metal component. A plumber has to draw a cut mark on a copper pipe before sawing through it. A farmer wishes to identify which of his livestock animals have been inoculated. In each case, all three employees need to mark something as a necessary part of performing their jobs properly. It may seem that a simple pen, pencil or marker would do the trick for all of them. But in reality, each job calls for specific types of marking on very different types of surfaces under very different conditions. This is the marketing niche that started LA-CO Industries. Family-owned and operated for more than 75 years, the company manufactures a wide range of permanent and temporary hand-held markers through its Markal® business unit; plumbing and HVAC (heating, ventilation, and air conditioning) chemicals under its LA-CO® division; and livestock identification products under the All-Weather® brand. 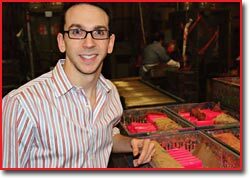 "You'd be amazed at all of the different kinds of things that have to be marked, and how difficult it can be to mark them properly if you don't have the right products," says Benjamin Kleiman, international marketing manager at LA-CO Industries. "We've made it our business to serve our customers in a variety of industries not just with markers, but with a whole range of other products that are specially designed to help them do their jobs easier and more safely." 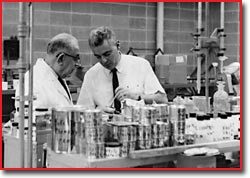 LA-CO Industries began life in 1934 when Dr. Lester Aronberg, a chemist educated at the University of Chicago who worked in the steel industry, founded the Lake Chemical Company on Lake Street in Chicago after he recognized the need for durable, high-quality markers in steel plants. "Dr. Aronberg saw that the wax markers and paint brushes that steel workers previ- ously used to mark parts were producing very poor marking quality," explains Kleiman. "So he developed a permanent marker that consisted of paint in a hand-held stick form and which could be used on a variety of hot and cold industrial surfaces such as metal, glass, stone, lumber, and plastic. That became our Markal Paintstik. From there, he branched out and designed different products for a variety of applications - products that could be used on rough surfaces, on smooth surfaces, on wet surfaces, on oily surfaces, on cold or hot steel. He had a talent for listening to his customers to find out what they needed in order to do their jobs properly." As LA-CO Industries found success, it gradually outgrew three successively larger facilities in Chicago before moving in 1994 to its present location at 1201 Pratt Boulevard in Elk Grove Village to take advantage of its easy access to transportation and business-friendly atmosphere. The company has continued to expand. In addition to addinga 10,000-square-foot paint blending and manufactur- ing plant in Elk Grove Village, the company acquiredanother marker manufacturing company in Blyes, France, giving LA-CO Industries an international beachhead. Customer suggestions have resulted in several successful products for LA-CO Industries over the years, such as many of the company's original paintstiks and, more recently, its Trades-Marker® WS water-soluble grease pencil. In 2012, LA-CO Industries plans to launch several new solid and liquid paint marker products for more challeng- ing marking applications. LA-CO Industries has seen four generations of family leadership starting with Dr. Aronberg, then Benjamin Kleiman's grandfather Chuck Kleiman, a relative of Dr. Aronberg who began with the company as plant manager after working as an airplane electrician during World War II. Today, two other members of the Kleiman family help guide LA-CO Industries: Benjamin's father Dan, who is CEO and started with the company in 1971; and Benjamin himself, who joined in 2003. Because of the culture and values inspired by family ownership, many of LA-CO Industries' approximately 140 employees are also members of the same families. "Many of our employees have been with us for over 30 years, with other relatives joining them over time," says Kleiman. "We recognize the value of employing dedicated people who have the same commitment to worker safety, self-improvement, and company success as we do." Like many other businesses, LA-CO Industries was forced to down-size during the 2008-2009 recession, but managed to survive by astute cost management and a strong executive team. "Luckily, we managed to weather the storm and were able to re-hire almost all of our people. Our employee level is now even more than what it was pre-recession," says Kleiman. "One thing we did not scale back on was our support to our customers. We showed our loyalty to them for staying loyal to LA-CO and our products." LA-CO Industries continues to develop new ways to make new chemical and marking products that will in turn make their customers' jobs easer. "We maintain full sales and marketing departments for each of our business units," Kleiman says, "and every week our people are out in the field talking to distributors, and end-users to see how our products are working, how they can be improved, and to find out any ideas they might have. We've never forgotten Dr. Aronberg's original premise that listening to the customer will tell you what he needs." 1940: LA-CO Industries begins marketing plumbing and HVAC products and chemicals under the LA-CO® brand. The first of these products is the Pipetite Stik®, a thread compound in stick form. 1941 - 1945: LA-CO Industries' Markal Paintstik is used extensively in industrial and ship production during World War II. 1945: LA-CO Industries launches its All-Weather® brand of paint markers, which are designed specifically for the temporary marking of cows, pigs, and other farm livestock. 1946: Due to its rapid growth, LA-CO Industries moves its headquarters to a larger building on Carroll Street in Chicago. 1950: LA-CO introduces Regular Flux Paste, the first water-soluble, all-weather soldering flux to aid in the soldering of copper pipes. 1952 - 1956: The Paintstik finds another successful market - young artists who watch the popular TV show for preschoolers, "Ding Dong School," which originally aired in the Chicago area before going nationwide. The show's host, "Miss Frances" (Frances Horwich), endorsed only products that young children could easily use. 1964: LA-CO Industries relocates its headquarters again to Washtenaw Street in Chicago, where it remains for the next 30 years. 1971: LA-CO transforms the plumbing industry by creating Slic-tite®, a thread sealant containing polytetrafluoroethylene (PTFE), which allows pipes to be easily screwed together. 1987: Markal produces its first liquid paint marker, the Valve Action Paint Marker, which quickly becomes a best-seller, especially in the automobile industry. 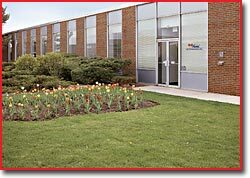 1994: LA-CO Industries moves to its present home at 1201 Pratt Boulevard in Elk Grove Village. 1999: LA-CO introduces Cool Gel®, a heat barrier spray designed to help reduce fires and heat damage during soldering and brazing. 2006: LA-CO adds 10,000-square-feet of paint blending and warehouse space to support the increased demands of Markal products worldwide. 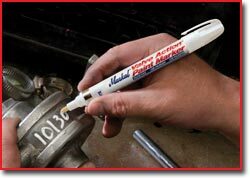 2008: Markal debuts Pro-Line HP®, a high-performance alternative for the Valve Action® Paint Marker. 2009: LA-CO Industries becomes an international company with the acquisition of Intrama S.A.S., an industrial marking products manufacturer based in Blyes, France now known as LA-CO Industries Europe S.A.S..
2010: LA-CO Industries wins the AHR (Air-Conditioning, Heating, and Refrigeration) Expo Innovation Award for its Cool Gel product.